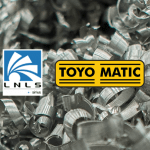 Toyo Matic is a company specializing in the machining of complex parts, diverse geometries and critical tolerances, using high technology equipment and resources. The segment of activity is aerospace, also taking part in the automotive, medical, power generation, refurbishing Spindle and manufacturing parts for motorcycles (Visit: http://www.toyoracing.com.br/). Characteristics such as versatility and creation of lean processes allow the company to efficiently manufacture structural, mechanical and hydraulic parts, starting from the most diverse materials, such as aluminum, stainless steel and titanium, in slabs, bars, forgings or castings. © Toyo Matic | Líder em usinagem de precisão 2019.